The Roundtown UFO Society is a non-profit organization that is seriously interested in collecting data on Unidentified Flying Objects.We are an outlet for people who want to know the latest information about UFOs and also for people who may have seen an unknown object and who wish to report it. The witness can remain anonymous if he/she so desires. 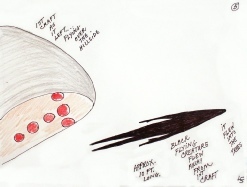 We believe that there have been a lot of unreported UFO sightings over the past several years. It is important to get the reports and to be able to analyze them. 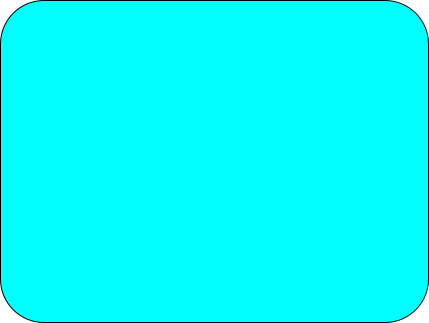 We urge anybody who believes that they may have witnessed an unusual phenomenon to contact us at the above address or phone number or our email address, [email protected]. 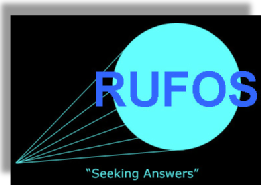 Some of our RUFOS members are affiliated with two nationwide UFO investigative groups; MUFON, the Mutual UFO Network, located in Morrison, Colorado; and CUFOS, the J. Allen Hynek Center for UFO Studies, located in Chicago, Illinois. 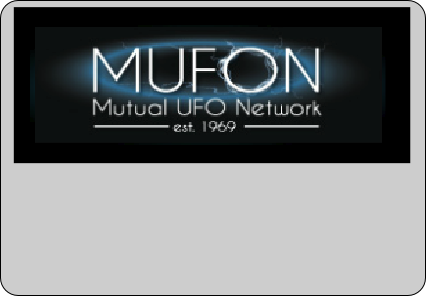 Also some members belong to a state organization, which is MUFON of Ohio. These non-profit organizations have hundreds of members who hold professional degrees and who feel that UFOs deserve serious scientific study. Co-operation is the key to helping solve this greatest mystery of our, or possibly all time. information on it, which also will include past UFO sightings. History is very important to ufology. "We will try to stick to the facts, as we know them." or mail us at RUFOS ~ P.O. Office Box 52 ~ Circleville, Ohio 43113. This is a story of a policeman, who, while working up in Madison Township by Lake Erie in Ohio, was called out on a sighting on an evening in November of 1975. Spheres the size of vans, and 20 crafts as large as Walmart apparently hovering and powering up over high power electric lines. It has the classic automotive shut-down, cover-up, men in black suits, secrecy and many witnesses besides Zachary. We’ll be looking back into history to see what we can find about that night. It should be interesting. more info…..
Our thanks to the Circleville Herald who has published an article written by Director of Roundtown UFO Society, Pete Hartinger in their January 10, 2018 issue. Attention: When there is world tension due to a possible nuclear confrontation between countries, "Look Toward The Skies!" Example - In October, 1973 we almost had a nuclear war when Israel was threatened in the "Yom Kippur War". At that time we had one of the most massive UFO sightings in the United States. Was this a coincidence or a definite connection? 2018 MUFON Symposium DVDs are now onsale on their website - CLICK HERE! ANOMALOUS LIGHTS SEEN AGAIN IN THE CIRCLEVILLE / PICKAWAY COUNTY AREA FEBRUARY 26, 2019 AT ABOUT 7:35 AND 8:15 PM. At this time, we have 2 people who were together in Circleville reporting witnessing a sighting of 2 orangish-red orbs to the southwest of them (approximating near Dupont) as they watched near their homes near Pickaway Craft Mall. Their sighting was about 4-5 seconds in duration and both witnesses saw approximately 7-8 white lights coming out of the orbs and then moving erratically "zig-zagging" in multiple different directions and then just disappeared. Then later at about 8:15 PM in the southeastern sky with a same-colored orangish-red orb being seen, but with this orb, the witness saw what looked like black specs coming to it and seemingly filling it up until it disappeared. A third witness who was about due east of the first witnesses driving on Ringgold Southern Road has seen anomalous lights also around 8:15 PM that appeared to be over, or a bit to the north of Hargus Lake. This witness said something caught his eye at about 30° up from the horizon that he thought was a group of lights moving very quickly (reminding him of a meteor) from west to east as he was on Ringgold Southern Road near the intersection of Stouts Road. The lights were estimated to be southwest of his position toward Hargus Lake approximately one mile from his position. The duration of the 3rd witness was approximately 15 seconds with the object stationary in the sky for the last 5 seconds of that duration. 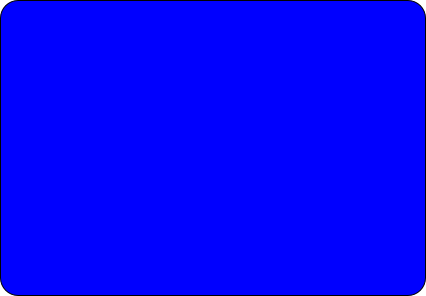 The third witness described the object(s) as two levels of lights. On the top, he described 5 or 6 white round lights appearing somewhat like light bulb type in trying to describe them and on the bottom the lights were dimmer and in trying to describe them saying they were like sparkling or fizzling. As he drove he was passing some obstruction to his view of the object and by the time he got to the next clearing to see it, it had disappeared. SPECIAL NOTE: The third witness, as it turns out, also saw the anomalous lights people reported on November 7, 2018 which, in my investigation, I personally could not explain as anything man-made. These sightings last night are similar to those last area sighting of anomalous lights on November 7th 2018. It appears numerous more people saw those November 7th lights and did not report them. 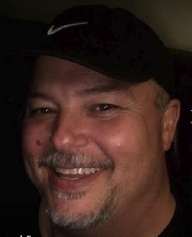 If anyone else has seen similar events such as described above, please give Pete Hartinger ((740) 474-6773, and/or Michael W. Moore (RUFOS chief investigator) (614)-572-6016 a call so we can get the information on record. Key Search words: UFO, Unidentified Flying Objects, UAP, Unidentified Aerial Phenomenon, Anomalous Lights in Circleville, Ohio and Pickaway County. ANOMALOUS APPEARING ORANGE-COLORED LIGHTS ARE BEING REPORTED BEING SEEN IN THE ASHVILLE, CIRCLEVILLE, AND SOUTHERN PICKAWAY COUNTY AREAS ON NOVEMBER 7TH WITH NUMEROUS WITNESSES SEEING SIMILAR VISUAL DISPLAYS. WE ARE INVESTIGATING WHAT SOME PEOPLE ARE REFERING TO AS “JUMPING LIGHTS” AS A DESCRIPTION. REPORTS ARE STILL COMING IN AS OF 02/27/19. Special thanks TO THE SCIOTO POST’S ARTICLE IN THEIR ONLINE NEWS. IF ANYONE ELSE HAS SEEN STRANGE APPEARING LIGHTS ON OR NEAR NOVEMBER 7TH, PLEASE CONTACT PETE HARTINGER AT (740) 474-6773 OR MICHAEL MOORE AT (614) 572-6016. UPDATE: The information for the sighting has been gathered and so far, I can not explain what this object was (as far as being man-made objects) Coming: A video is being made to demonstrate what was described as being seen. 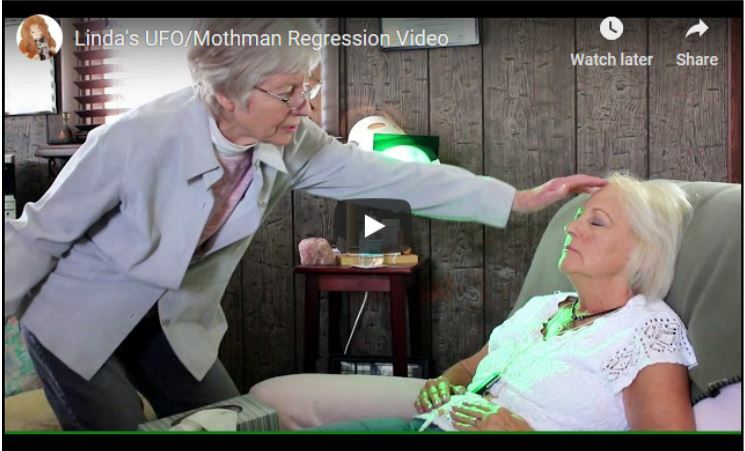 Recently, Linda Sigman went to her friend Lainey Ebright, a Certified hypnotherapist, for help in trying to remember more of what happened the day she had her UFO/Mothman experience. This video is about her experience. 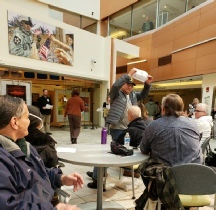 Zack Space, RUFOS member and Vietnam Veteran has won 1st Place in Creative Writing at the Columbus VA. His writing will now be entered into the national contest! Read his beautiful writing HERE.